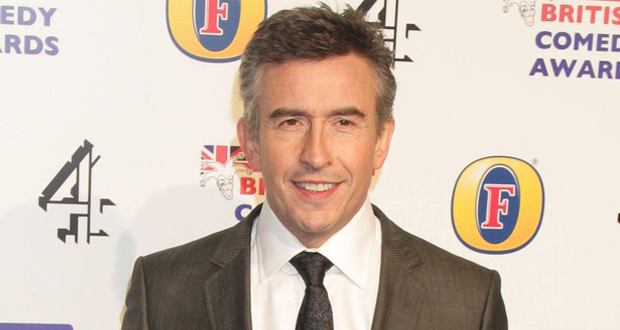 Steve Coogan has fuelled debate about the rising costs of performing at the Edinburgh Fringe, saying it has become “swamped” by marketing people and promoters. It is not unusual for Fringe performers to be left thousands of pounds in debt, as many venues charge for room hire and take a large proportion of the ticket revenue, alongside representation, marketing, accommodation and music licensing costs. In contrast, venues in the PBH Free Festival do not charge acts for room hire, assuming that the shows will attract more bar or food custom; patrons are invited to contribute however much they think a show was worth. Coogan’s comments were endorsed today by Peter Buckley Hill, who established the free festival in 1996. The comedian hosted the Edinburgh Comedy Awards on Saturday, which was won by Bridget Christie for her show at The Stand, a venue with a reputation for ensuring that acts are not left out of pocket for appearing at the festival. The two other main awards went to performers in free events. Established venues, particularly the “big four” (Pleasance, Underbelly, Gilded Balloon and Assembly) have a strong infrastructure during the festival, including social spaces offering food and drink, and a high marketing presence. The “big four” joined forces in 2008 to launch the “Edinburgh Comedy Festival” brand. Coogan, who has not performed at the Fringe since winning the Perrier Award in 1992, told The Scotsman that he still felt an emotional connection to the Fringe, and would consider a return to try out new experimental work. He said: “Back in my day, the Fringe was slightly more amateurish, but I say that in a positive way. “There is always a risk with the emphasis when art is co-opted by commerce. “The empowered should help the disempowered. You know what, they [Free Fringe acts] may not always be as polished, but you sometimes find real, exciting, original acts that may not have a machine behind them, but they are all the better for that.